Where Roots And Wings Entwine: Book review - The Rabbit Who Wants To Fall Asleep. 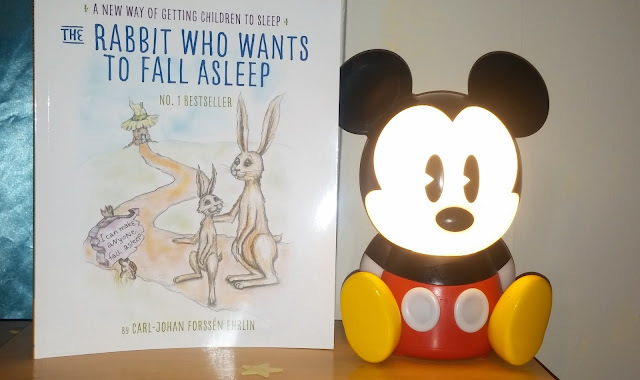 Book review - The Rabbit Who Wants To Fall Asleep. Bug has never been much of a sleeper and whilst he has improved on how long he sleeps at times we still find it difficult getting him to relax and calm down enough to get to sleep at a reasonable hour. 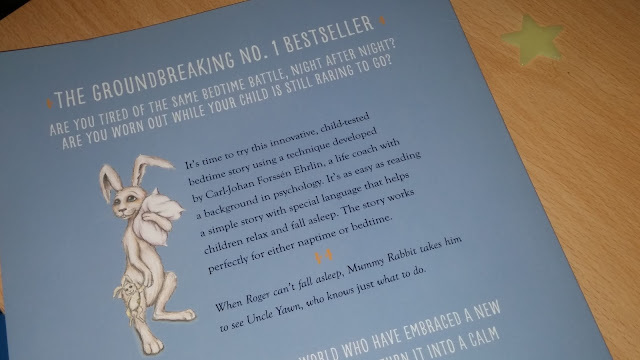 As I am always keen to improve his bedtime routine and sleep, we recently tried out the book - The Rabbit Who Wants To Fall Asleep. 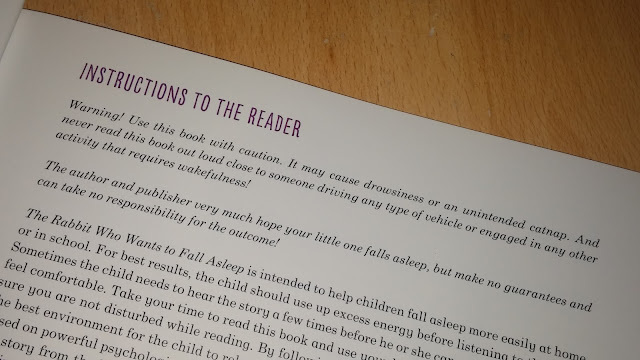 Having read a number of enthusiastic reviews about the book, with many parents declaring that it miraculously gets their child to fall asleep I was intrigued to see whether it would work on Bug. The large A4 size thin paperback book is a number one bestselling book that is described as being ‘a new way of getting children to sleep’. 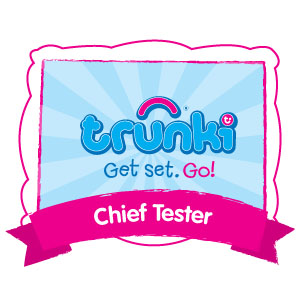 The book’s author Carl-Hohan Forssén Ehrlin has combined his skills and experience as a behaviour scientist and academic to develop clever techniques which he has implemented into the book to help get children to sleep. 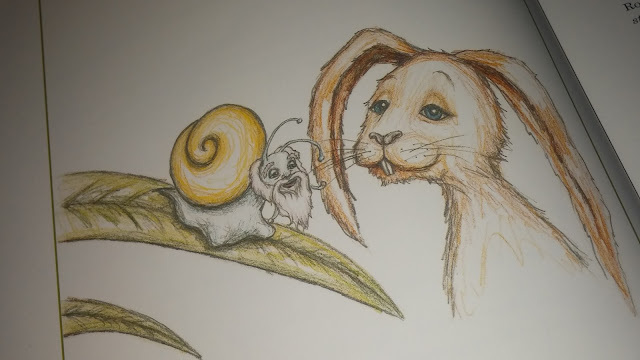 The story is centred around a rabbit called Roger who wants to fall asleep but is struggling to relax, switch off his overactive mind and fall asleep…….mmmmm reminds me of a little Bug I know. 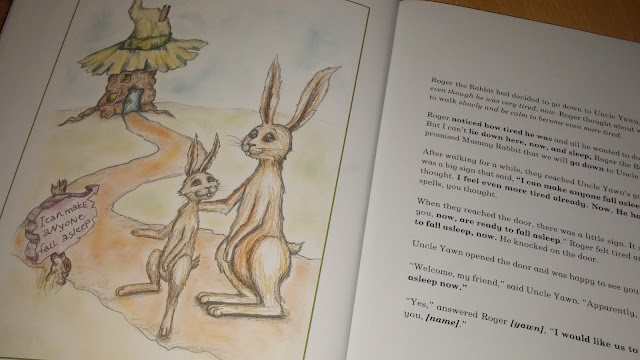 To help get to sleep Roger asks his new friend – your child – to go with him to see his Uncle Yawn, and along the way they also meet other magical creatures who try to help them fall asleep. At the beginning of the book is a useful guide which tells you how to read the story. 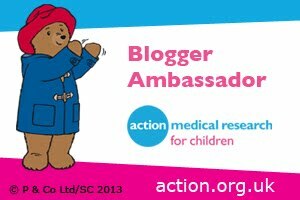 You may be thinking I don’t need to be told how to read a book, but the idea behind the book is that when read a particular way it helps calm and relax children so that they can fall asleep easier. The guide lets the reader know what tone to use when reading particular segments of the story using italic and bold print. 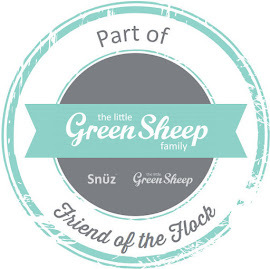 To give the story a personal touch the reader is also encouraged to include their child’s name at points within the story. The theory of the book is that by the end of the story, or before the end, if read following the guide the child should have fallen asleep or be close to doing so, being in a relaxed state. When I first opened the book I was surprised at how long the story was. In fact I remember thinking no wonder children commonly fall asleep before the end of the book, it is so long I would be surprised if they were still wide awake after such a long story. For the first couple of tries with the book I was so conscious of reading the book using the correct tone at the right time that the story did not feel as if it flowed smoothly, but as I have read the book more and more reading it as suggested has become more natural. The first night of trying the book with Bug he was so interested in the new book and the pictures (which for some reason make me think of a magical, Alice in Wonderland type world) illustrated by Irina Maununen that he did not fall asleep. On subsequent nights we have not had much success with the book either, whilst he is often relaxed he is still awake. On the odd rare night that he has fallen asleep I am not sure if it is thanks to the book or due to sheer exhaustion after a particular busy day. We have been using the book on and off for a number of weeks now and I cannot say that for us it is a magic book guaranteed to get Bug to sleep. In all honesty Bug has often complained that it is boring or that he does not want to have it as his last bedtime story book. As it is so long and not an exciting or funny story book like his other I can see how it is a tad tedious and repetitive and not be appealing to him. Whilst it has not worked for us and I doubt it could be declared to work to make every and any child asleep, I can see how it could work to make some children fall asleep and how the words and tone used (some of the patterns remind me of something a hypnotist would say) are perfect for calming, relaxing and creating an environment that would encourage sleep. The Rabbit Who Wants To Fall Asleep is aimed at little ones aged 3-6 years and has an RRP of £7.99.